Amazon (NASDAQ:AMZN) CEO Jeff Bezos recently announced an additional investment of $3 billion in India, taking its net investment to over $5 billion in the country. To put things in perspective, this is almost equal to the company’s global marketing costs in 2015, and is higher than its total capital expenditures last year ($4.5 billion). AWS Growth: In addition to e-commerce, Amazon’s focus on expanding its web services business in emerging markets stems from the business’s robust profitability and Amazon’s growing list of global customers which now includes Salesforce, Netflix, Uber and Apple. International Growth: Amazon’s international business has not been able to match North America in terms of either top line or bottom line growth. 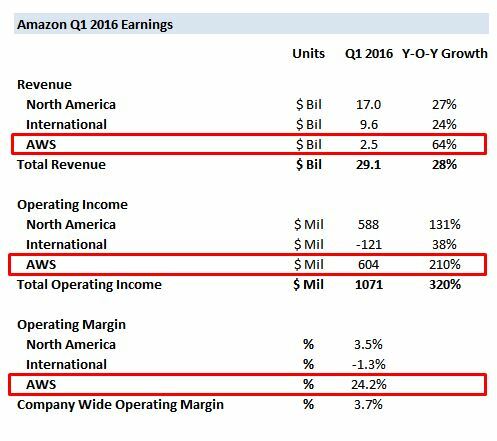 In 2015, Amazon’s international revenues increased just 5.7% year-over-year to $35.4 billion compared to growth of over 25% in North America to $63.7 billion. In the first quarter this year, sales in international markets grew 24% but operating income remained negative. The company’s big push into India is also likely aimed to provide a boost in terms of international sales growth as well as profitability. 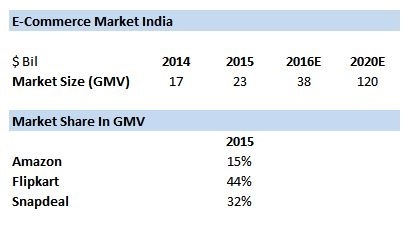 Overall, Amazon’s investment in India makes a lot of sense given the massive market opportunities – both e-commerce and AWS – and relatively favorable competitive environment.